Waiting in line at the Johnson County DMV to renew you motor vehicle registration is now a thing of the past. New self-service vehicle registration renewal kiosks have been installed at both DMV offices in Olathe, KS and Mission, KS. The kiosks, powered by Livewire Digital, allow customers to pay for their renewals via cash, credit/debit, or check. 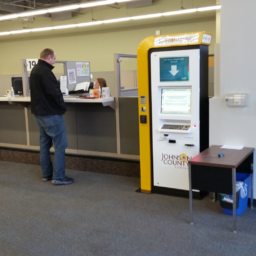 Unlike many other states’ implementations of renewal kiosks, there is no cost to customers to use the kiosks. 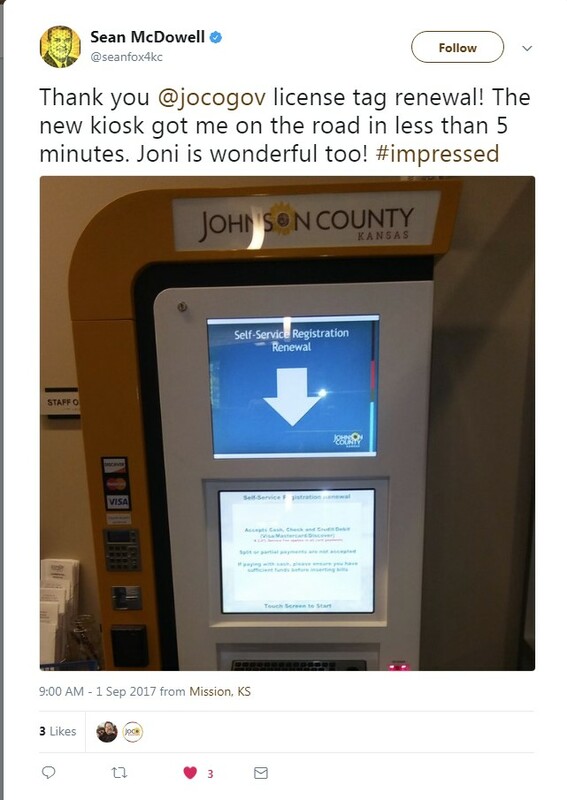 Johnson County primarily wanted to make it more convenient for their customers and to make processing of renewal payments much more efficient.